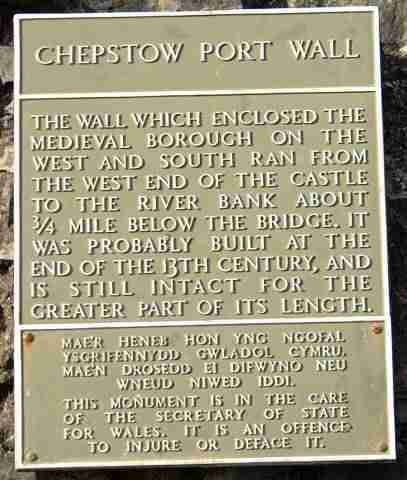 Chepstow is an ancient walled market town and former port with a Norman castle situated on the River Wye (Afon Gwy), just inside the Welsh border, a short distance upstream from where the Severn and Wye rivers merge. A view of the castle can be enjoyed from John Rennie's 1816 cast-iron bridge, which joins Chepstow to Gloucestershire. 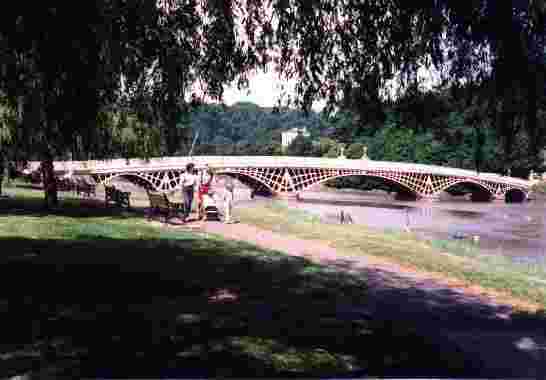 This is a view from the Gloucestershire side of the Wye of the Castle and Bridge. 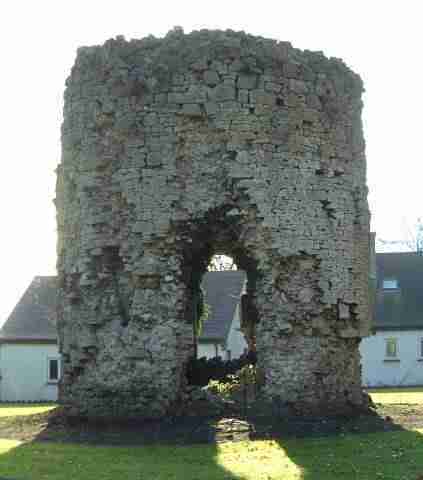 William FitzOsbern's Castle was founded in 1067 for the Norman conquest of this part of Wales. Perhaps associated with the castle is a ruined watch tower on a hill on the Gloucestershire side of the Wye, overlooking Chepstow Castle and town. 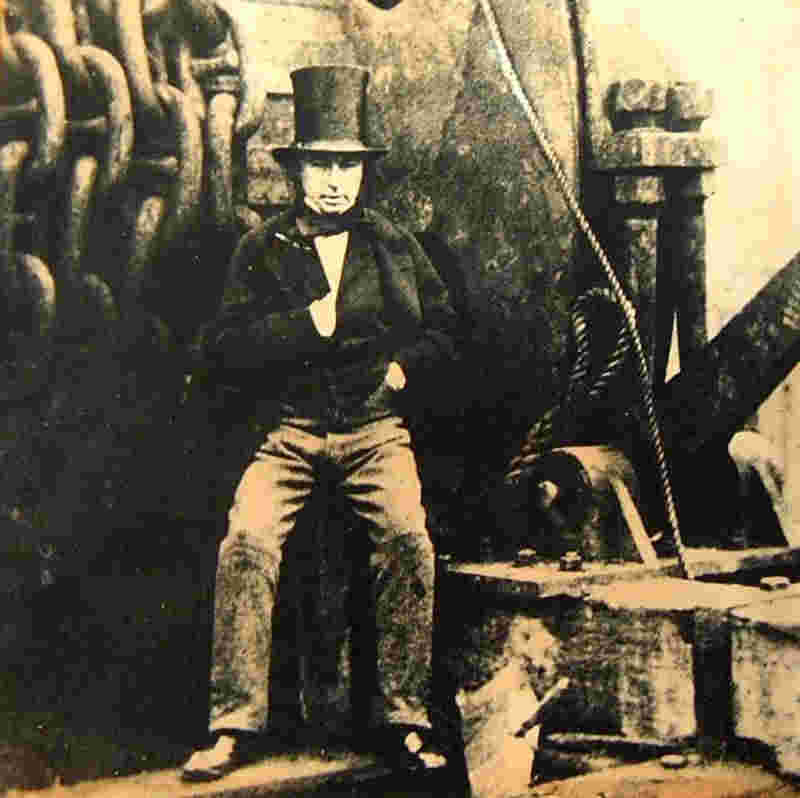 Further downstream, Isambard Kingdom Brunel's 1852 tubular Railway Bridge was replaced in 1962 and, more recently, a new road bridge was added alongside. From the bridge it is possible to appreciate why the wooden bridges which spanned the river here since Norman times did not last long in the fierce tides. 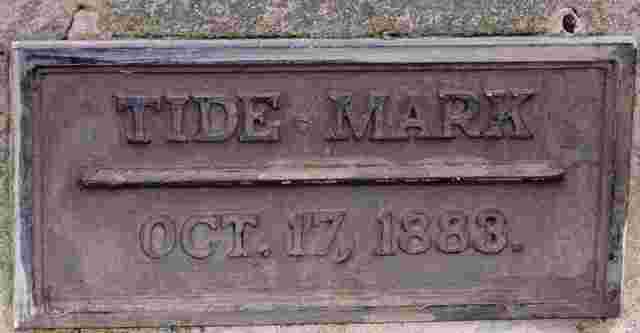 On 17 October 1883, the high tide was recorded by placing a tide mark plaque on the bridge which can still be seen today located near the Bridge Inn. 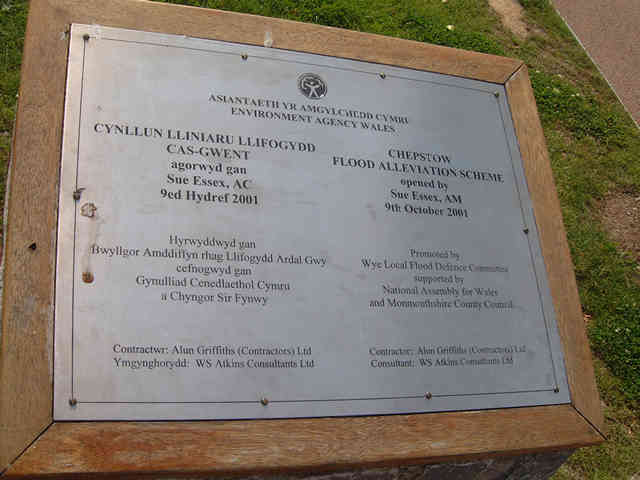 The Chepstow Flood Alleviation Scheme was opened 9 October 2001 according to this rather worn plaque on the riverside. 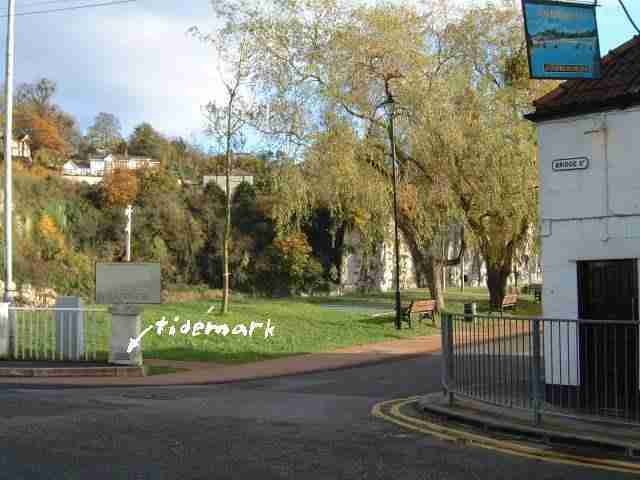 The railway came to Chepstow in 1850/51 and it still has a railway station, being a stop on the line between Birmingham, Gloucester, Cardiff and Swansea. It is a matter for regret that the line north to Monmouth, through the scenic Wye Valley, has been closed since the 1960s. Not only have the tracks been removed, but parts of the route have been used to widen the road and bridges removed for safety. So there is little prospect of a revival, despite optimistic proposals. What a tourist attraction it would have been now. 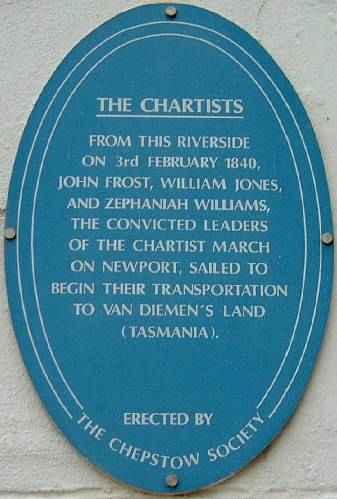 There is a memorial plaque on the waterfront recording the fact that the leaders of the Chartist Insurrection were transported from the Port of Chepstow to Van Diemen's Land (Tasmania) on the 3 February 1840. If you have anything you are about to throw away, why not offer it for recycling?